Morillon resort opening date will soon be available. Morillon Grand Massif is situated between Morzine (Portes du Soleil), Genève (Suisse) and Chamonix (Pays du Mont Blanc) and is the ideal location for winter sport and summer leisure activities. In summer it offers many activities in the mountain, natural surroundings, leisure areas as well as numerous tourist trails to the large lakes of Annecy and Léman in Haute Savoie and other valleys in close proximity. Activities available in Morillon Grand Massif, Alps to enjoy with family or among friends at the Lac Bleu include swimming, tree climbing, kayak, horse riding, fishing... Also hiking, for all levels on offer to discover the magnificent panoramic views over the region. 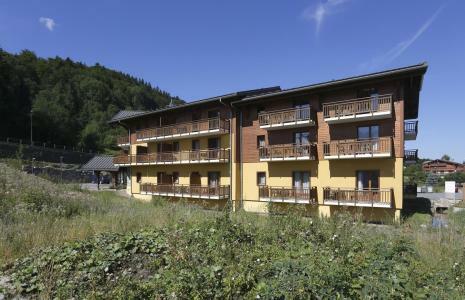 Book your accommodation in to Morillon resort, a few steps from your favourite activity.